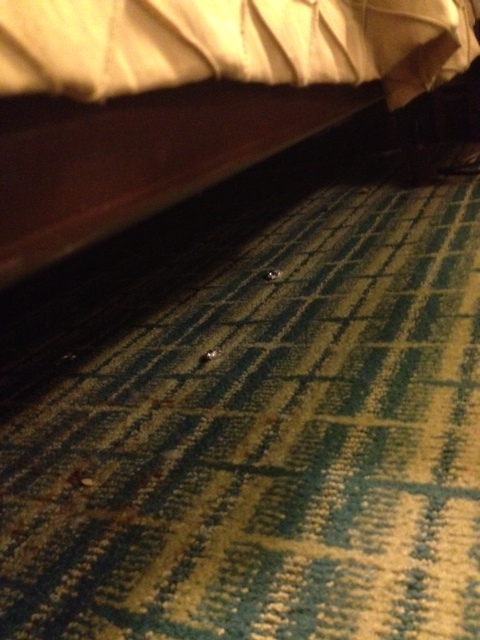 The Hilton Lauderdale, submitted by a travel industry friend: I found all sorts of treasures under my bed last night: Wadded up gum wrappers, pistachio shells, and what appears to be a (POOP)stain on the carpeting. It was like sleeping on top of a dumpster. I was just waiting for a raccoon to poke its head out.